Looking for a Pest Management Career in Sales or Service? It’s time to call Superior. 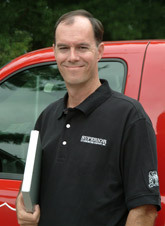 Our pest management company is local and family owned, serving the Roanoke and New River Valley since 1969. We are committed to be the best customer service company and our foundation is based on always doing the right thing for the customer and employees. Our goal is to protect the property and health of our customers through modern pest management solutions. We are dedicated to maintaining a positive workplace environment and to provide the tools and training necessary for each employee to succeed. We are actively looking for dependable and hard working individuals. If you are motivated, eager to learn and have a good attitude, we can help you become one of our exclusive team members. Good communication skills and the ability to pay attention to details are characteristics of our ideal candidate. If you have good organizational skills and the ability to work independently with the desire to be the best, you could be our next Superior Pest Management Professional! Download the Superior Employment Application, fill it out and call for an appointment. Criminal background check, pre-employment drug testing, DMV record and a current driver license will be required. Working Hours: Monday – Friday 8 to 5 – Some overtime will be required.